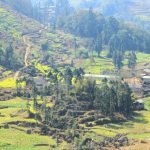 Ha Giang trip — Mysterious beauty of Ha Giang - Living + Nomads – Travel tips, Guides, News & Information! 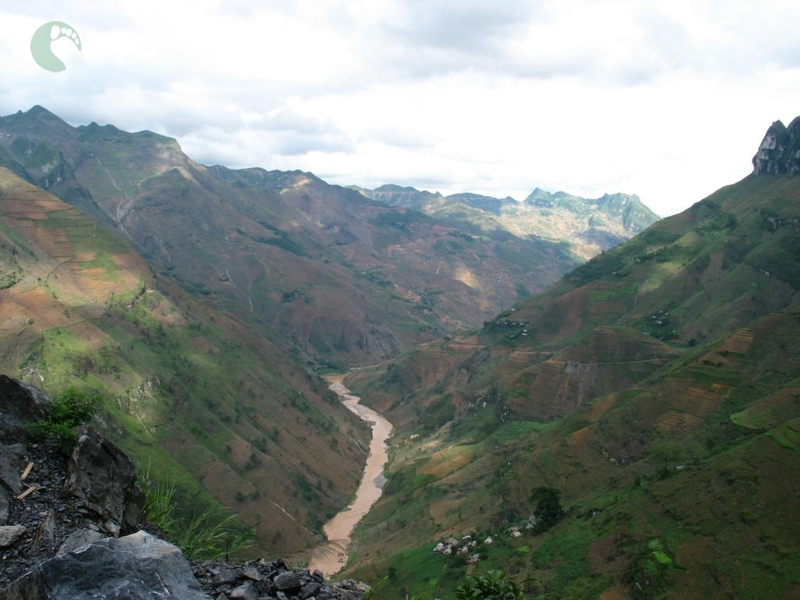 Ha Giang is a province in the Northeast region of Vietnam. It is located in the far north of the country, and contains Vietnam’s northernmost point. Ha Giang is a famous destination with many tourist attractions as follow. 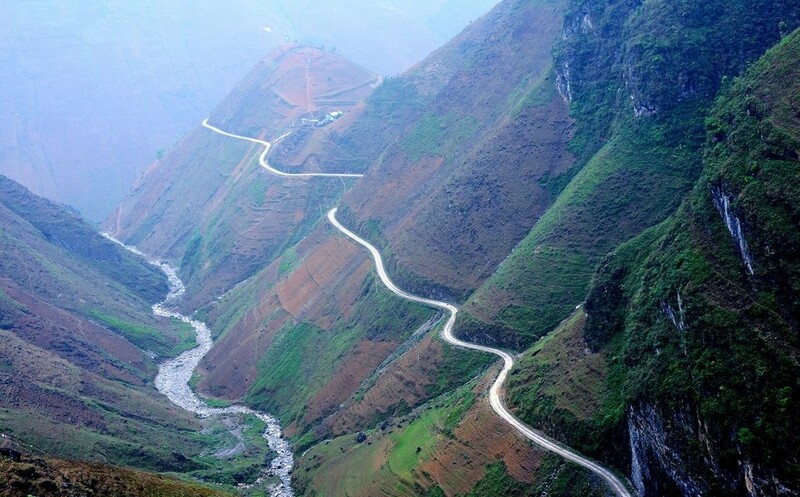 Nui Doi or Double Mountains are located along Highway 4C, 40 kilometers from Ha Giang town, Quan Ba district. 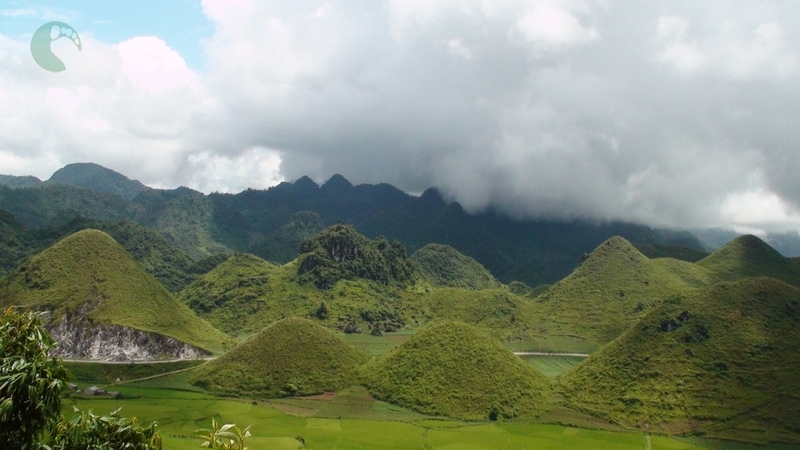 They are shaped like the two breasts of a female in the middle of the field in Quan Ba. 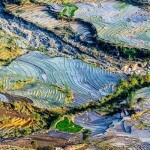 Double Mountain is surrounded by terraced rice fields which change colors for different periods of harvesting. 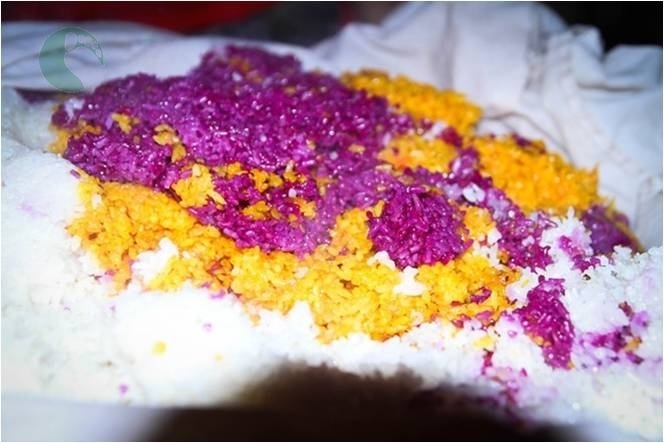 Double Mountain is associated with the legendary love story of a H’Mong boy and a fairy. The boy had a special talent of playing the flute and his sweet flute melodies soared to heaven. A beautiful fairy heard his music and swooped down to earth to meet him and they fell in love. The couple’s love was hindered by the gods. The fairy was forced to return to heaven after she had a child with the H’Mong man. The fairy cut her breasts and left them on earth to feed her child, which are now the Nui Doi Mountain or Double Mountain. 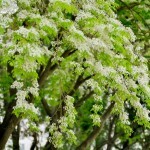 According to legend, thanks to the milk of the fairy, this land has a cool climate and the fruits here taste delicious. Her tears when she said goodbye to her husband and son resulted in Mien River running through limestone forest in the section linking Yen Minh-Quan Ba of Ha Giang stone plateau. 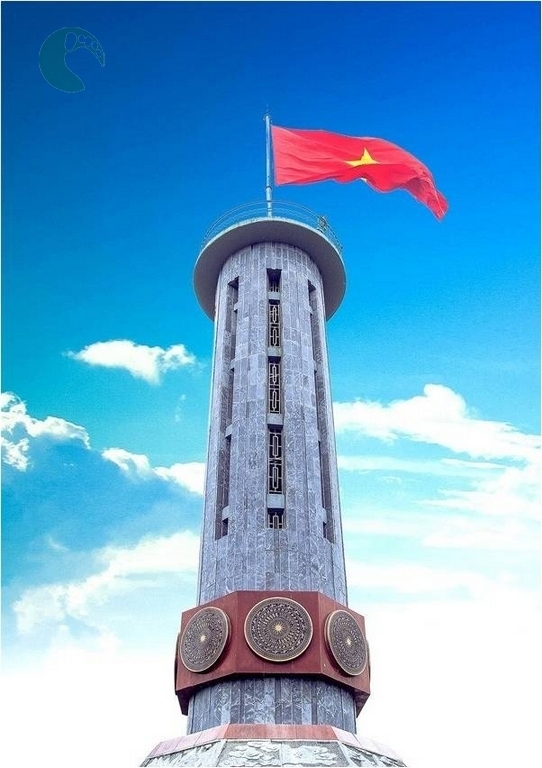 Lung Cu flagpole, about 24km from the centre of Dong Van district, is a tourist destination that is meaningful for domestic visitors. 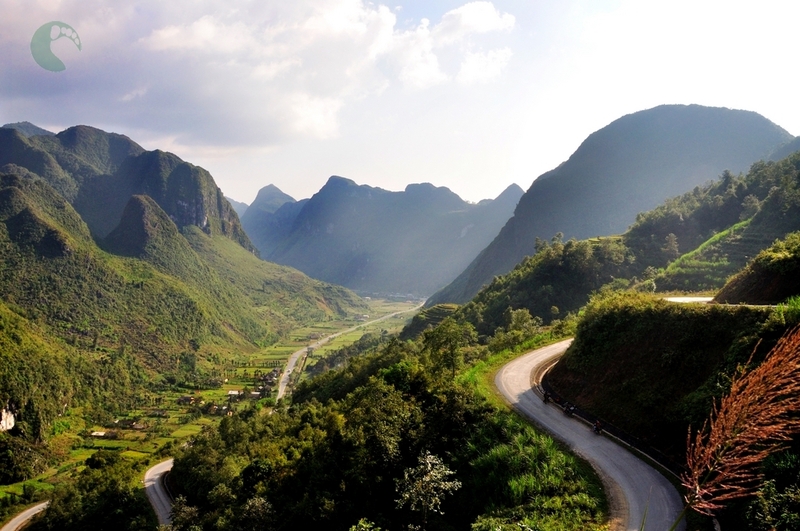 Lung Cu mount is liken as “a high forehead of the motherland” where marks the extreme North of the country. From its top, visitors can see the whole of beautiful and spectacular landscape. 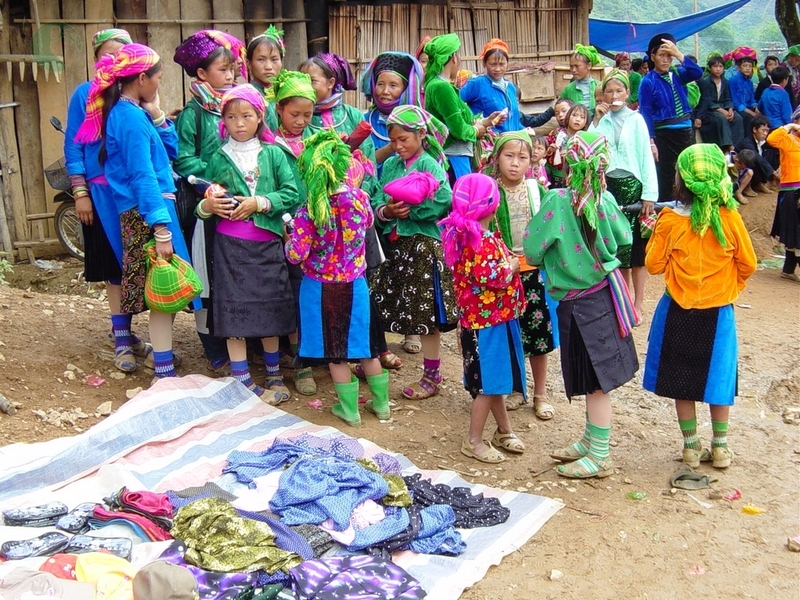 The brocade skirts of ethnic minority women in Ha Giang. Ma Pi Leng is at the height of nearly 2,000m above sea level. 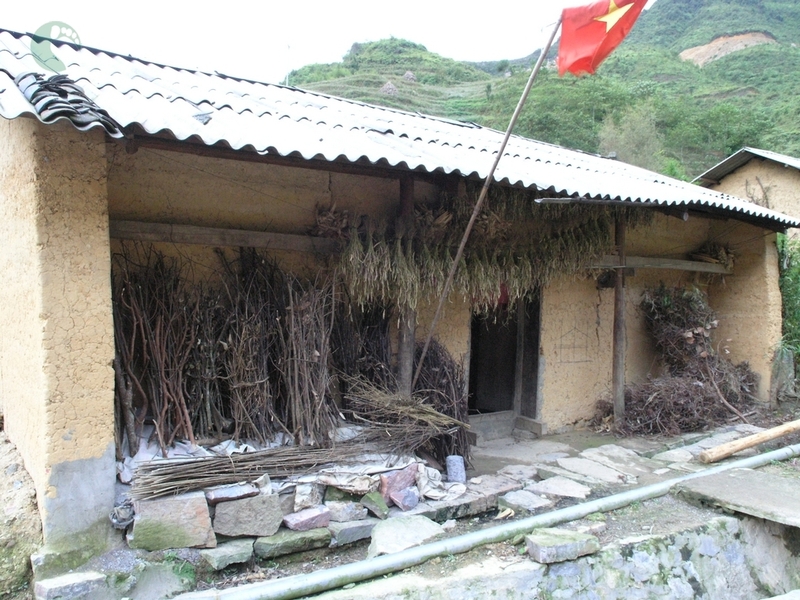 The construction of Ma Pi Leng (which takes the form of a crouching horse) began in the 1960’s, and was said to be done almost entirely by the H’mong people. In the beginning, to accomplish their tasks, construction workers had to carry explosives and move along the sides of the mountain by securing themselves to ropes. The earliest passes were wide enough only for horses pulling carriages and people to walk through. It wasn’t until much later that the authorities allowed the widening of these passes. Just a few years ago, the paths at Ma Pi Leng were extremely bumpy and riddled with stones. They were also not wide enough for two cars traveling in opposite directions. 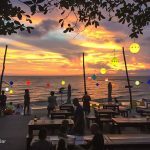 Nowhere else in Vietnam is there a place as mighty and wild as Ma Pi Leng. Looking toward the north and northeast, thousands of gray, rocky mountains form layers along the horizon. Right beside the road are deep valleys, at the bottom of which lies the Nho Que River, where cool water flows peacefully. On the mountain pass in Meo Vac, trees are scattered; along with stones, which have been lonely through years and centuries. 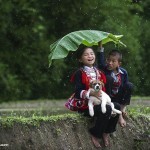 In June and July, you will see Ha Giang in green, covered in extremely beautiful rains. 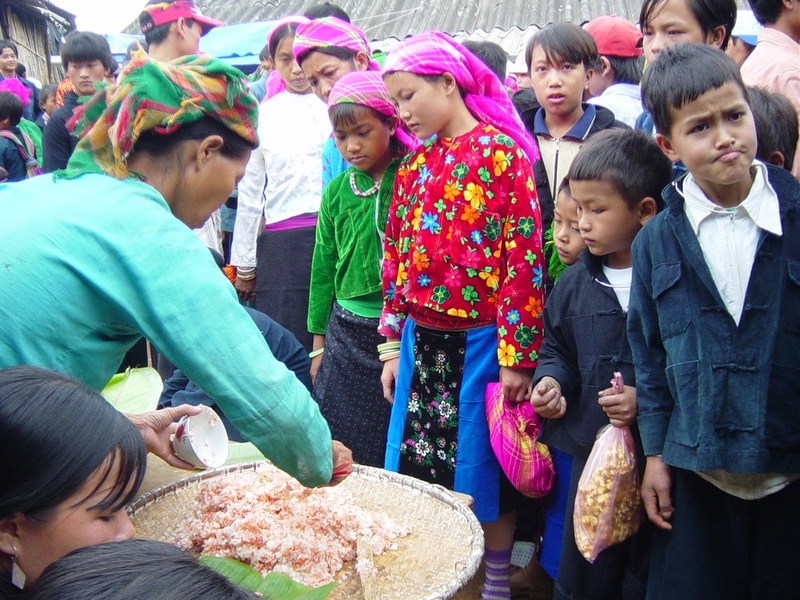 August and September is the season of ripen rice on Ha Giang’s terrace field. 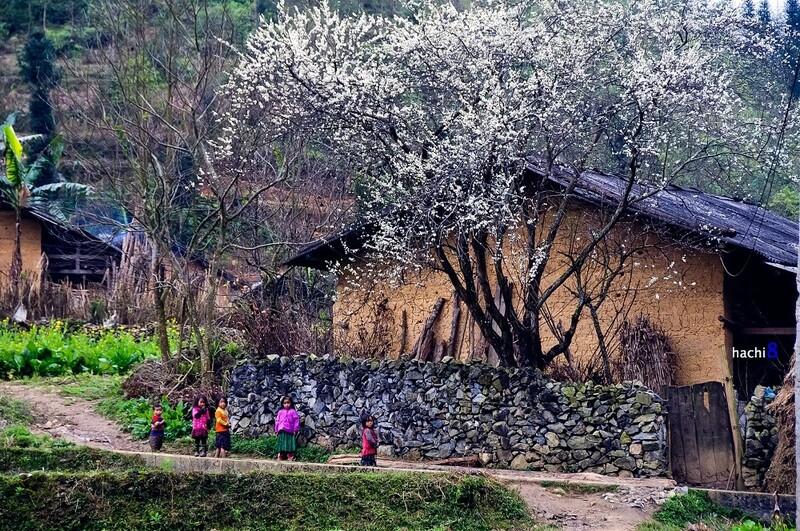 In October and November, Ha Giang has pink buckwheat flower and yellow daisy flower fields. 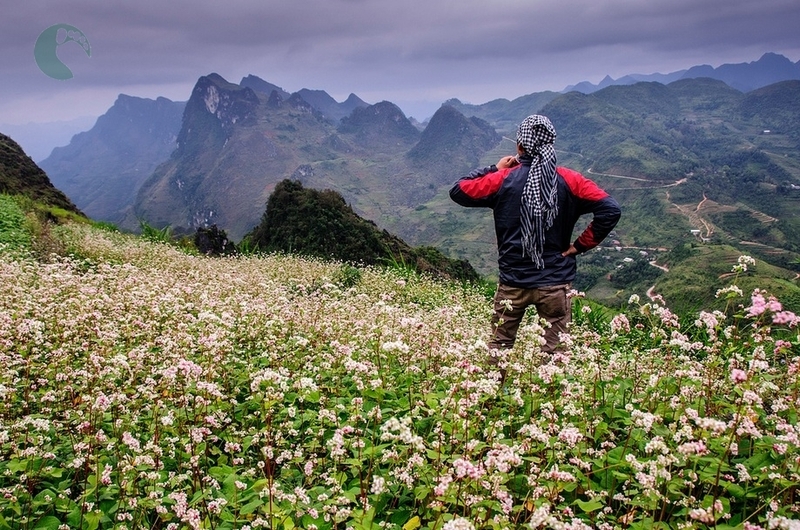 You can go to Ha Giang any time in the year because Ha Giang’s beauty changes with season change. 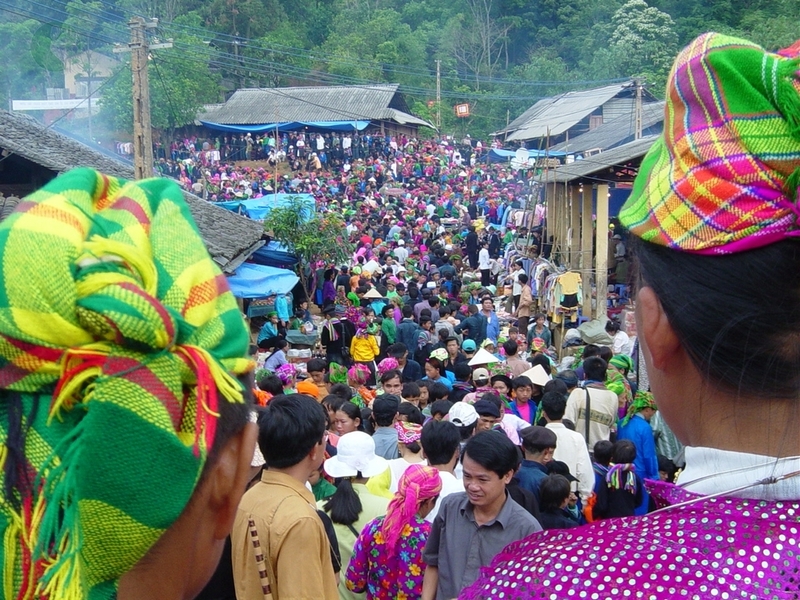 You also see more Ha Giang travel guide at here.